The simple answer is yes. The Bible makes more references, over 65, to hell than to heaven. It is described as a place of eternal torment, utter darkness, constant weeping, no water to quench one’s thirst and a place of eternal fire. There are personal true testimonies of people who had out of body experiences and were headed through a dark tunnel to hell. The pain they reported to have experienced was unbearable. The book, Dante’s Inferno, paints a realistic picture of what hell would be like only it will be much worse and there is no escape. Why is the Bible so graphic about hell? Because God does not want anyone to go there. God gives all mankind significant warnings about the destiny of those who reject God’s offer of salvation in Jesus Christ. 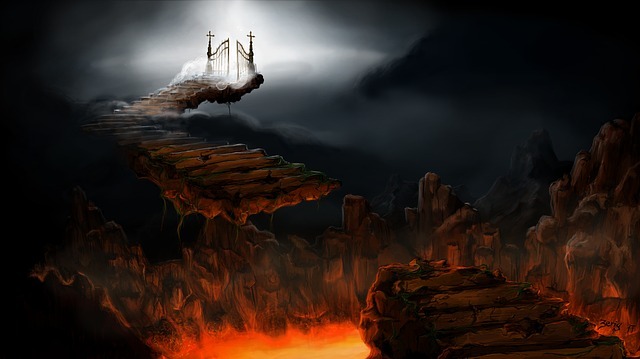 The choice is clear heaven or hell both are real places. 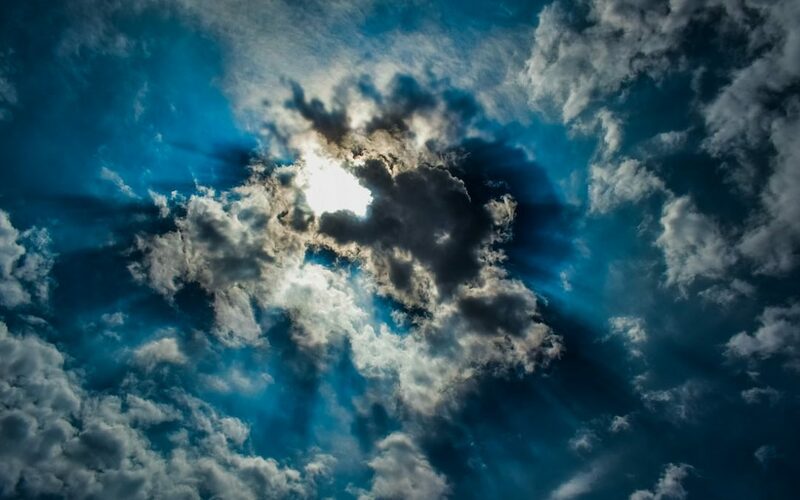 What will it be like on earth the moment after the Rapture? This question seems to arise more frequently now as the global culture and morality continues to deteriorate. It is also a timely question given that the nation of Israel is celebrating its 70th anniversary of statehood on May 14, 2018. Most Bible scholars note that the last significant prophetic event needed to be in place before the Rapture was the founding again of Israel as a nation after it’s 1900 years of dispersion. Christians do not agree on every detail of what will occur in the final events of this world’s history. We don’t know the timing of “The Rapture” — the moment that Jesus Christ returns to earth–is described in the Bible in 1 Thessalonians 4:13-17. Jesus comes for believers, both living and dead. Jesus said when asked by the apostles about this event, “only the Father knows the day and the time.” (Matthew 24:36) Jesus also said, “that it would come like a thief in the night or when it is least expected.” We tell you a truth, this warning needs to be heeded. 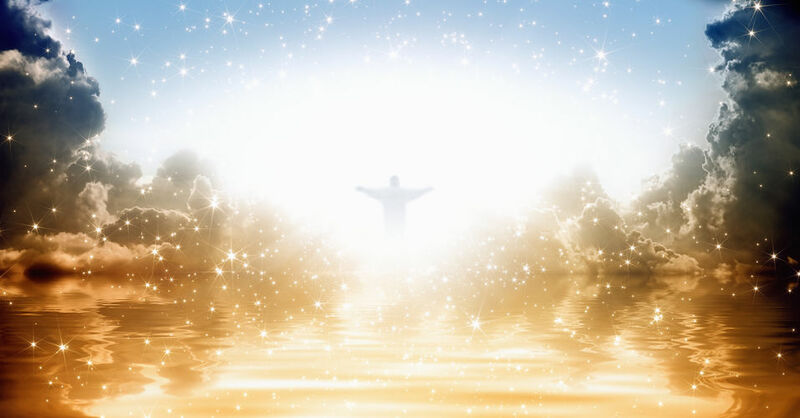 Now is the time to accept God’s gift of redemption and forgiveness and eternal life as no one would want to be left behind on earth immediately after the Rapture. Now to the question of what it will be like on earth for those left behind. If, as many believe, the Rapture occurs before the “time of tribulation” described in the Jesus’ Revelation to John at the end of the Bible, three little words describe what’s coming; panic, chaos and mayhem with a great amount of fear thrown in for good measure. Accidents will occur on a scale never imagined or experienced before and with that millions upon millions will die. Just think; planes in the air without pilots, cars without drivers, trains without engineers, etc. True believers in Jesus in every profession and place on the planet will disappear in an instant. Christian doctors, EMS crews, policemen, soldiers, and the like will no longer be there to provide care or protection. Lastly, at that moment, the primary restraining forces of evil, the Holy Spirit and the Christian church will have departed planet earth. Just use your imagination on what earth will look like. Evil forces will be unchecked. Finally, with the Christians gone it opens the door for the Antichrist to make his appearance as a false peacemaker that the world will embrace during the Tribulation. For more of the story, read the book of Revelation in the Bible and just be sure that you know Jesus as your Savior so you won’t have to experience any of this horror. What does it mean to have God’s Spirit in you? Great question and the answer can be very lengthy, so let’s start. We all are one in body, soul and spirit. However, when we place all our faith and trust in Jesus Christ, the Holy Spirit comes into and indwells us. Mark 1:1-8 and many other verses. Yes, it is part of that mystery of the Trinity, God the Father, God the Son Jesus Christ, and God the Holy Spirit, and yes, the Holy Spirit is NOT an ‘IT’ but a ‘HE’ and has all the attributes of a personality. Once this commitment to Jesus Christ is made, many changes occur as a result of the Holy Spirit indwelling us. The Holy Spirit convicts us of our sin and calls us to repentance. Previously, sinning did not bother us and often we were not even aware of them. He enables us to be free from our slavery to sin. 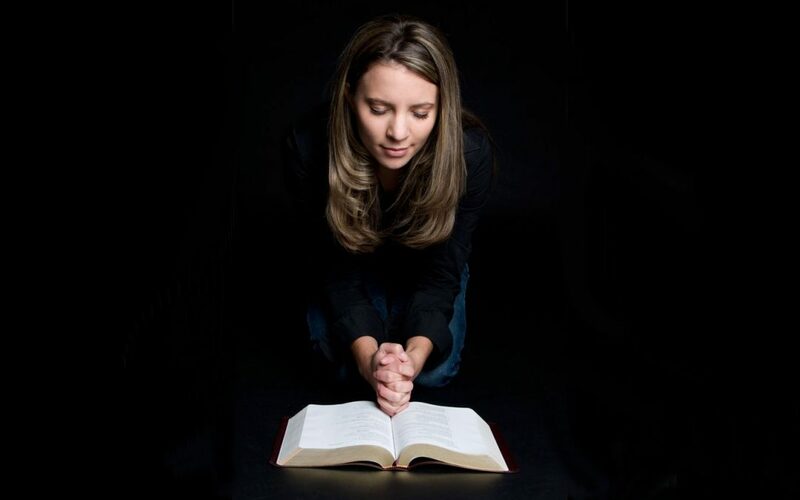 The Holy Spirit through His Word, the Bible, and speaking directly to our minds gives us inner peace and contentment in now knowing for certainty where we will be when this life on earth ends. The Holy Spirit will change our desires and what we think is important. Previously, perhaps earthly gains, fame or money were our objectives. Now it is to grow closer to our Savior every day of the rest of our lives. God’s Spirit will reveal His plan for your life as a Christian, giving it real meaning and purpose. Friends will change because our interests and priorities will differ from theirs. The Holy Spirit will guide you to seek fellowship with fellow believers who will help each other grow in the knowledge of His Word. Love for one’s children and family and our ‘neighbors’ will become stronger when we personally experience the love of God in Jesus. The Holy Spirit will additionally open our eyes and hearts to the needs of others that includes their physical and daily needs but also and more importantly their need to say ‘yes’ to Jesus and experience this new life too. There are many more benefits to elaborate on but suffice it to say, having God’s Spirit in you is the greatest thing that can ever happen to you. We pray that you may experience this indescribable new life TODAY. Just invite Jesus in. He is waiting at the ‘door’ of your heart. Open it wide and His Spirit will come in and reside with you forever. What is Biblical living Hope? Hope in Whom or What? The word hope is commonly used to denote a deep desire, as in “hope I get that promotion” or “I hope he proposes” or things of that sort in the temporal realm here on earth. The word hope for the Christian has a very different meaning. Christians’ hope is in the Lord. It means the absolute assurance that God’s Word is true and can be fully trusted now and for eternity. God has given Christians absolute hope for heaven and eternal life through the resurrection of Jesus Christ from the dead. Christians’ hope is in the Lord’s unfailing love. It enables our souls to rest in God because Biblical hope comes from Him. (1 Peter 1:3) Faith and hope go hand-in-hand as faith is confidence in what we hope for and assurance about what we do not yet see. (Hebrews 11:1) Hope in Christ gives believers boldness to both defend and contend for the Christian faith. The world puts out many ideas about what happens after death, but a Christian has the ‘hope of heaven’. This hope is the absolute, unwavering CERTAINTY of eternal life through Jesus Christ in a realm where there is no sickness, sin or death. That’s really good news. One who has this hope can face uncertain times and even death unafraid, for the knowledge of “LIVING, though he die’ is at the bedrock of his or her hope. God has promised Christians a place that is even more perfect than any of us can ever dream or imagine and one that fulfills our greatest hopes and deepest longings. (1Corinthians 2:9) When we surrender our lives to Jesus Christ, His Holy Spirit in us quickens our spirit to have this wonderful assurance. Have you surrendered to him? There is no better time than now.